A1 is proud to announce the biggest news in the quilting scene… our Elite Platinum machine! The A1 Longarm is the smoothest, quietest, easiest to maintain machine made. Throat size: 9” by 23” Quilting space 16” – 17”. LED touch screen Standard with a 7” monitor. Most Accurate stitch regulator on the market today. Four stitch modes: Elite mode, Cruise mode, Baste mode and Manual mode. Accurate stitches from 2 stitches per inch to 22. Ergo grip patented fully ergonomically adjustable handlebars with the only truly multi-positional handles. Ergo lift hydraulic height adjustable table. M bobbin (double capacity) / Stand-alone Bobbin Winder. Batting Access Lockable Lifting Lever. Tracknology Wheel and Track System-superior smooth wheels with aluminum one piece track for rails and carriage. LED Lights, both extra bright and dimmers plus Black lights built in. The Spoon Foot: Useful for Pantograph work, Computerized Quilting, the foot allows easy transition onto the Quilt from the edge of the layers. You’ve heard it all your life: little things mean a lot. Details make the difference between just another quilt and your work of art. Old proverbs wouldn’t last long if they didn’t have a serious ring of truth to them. As one of the original quilting machine manufacturers, we believe we’re here today because we pay serious attention to details in creating the most precision-machined, hand-guided, long-arm quilting machine in the world. We invite you to examine the details, welcome your questions and hope you’ll compare our latest model, the 923 A1 Long Arm, with any other machine on the market. This isn’t just a sewing machine-it’s a revolution in quilting machine technology. View a video here showing all the features! A1 Elite Platinum Machine Head – Throat Space 9” x 23”, weight 54 lbs. King Base and Ruler**Starter supplies included in this package:. Please contact us for a quote in AUD which will be subject to exchange rates until paid in full. **Starter supplies include: Bobbin winder, 20 bobbins, 1 extra bobbin case, 4 package of needles, 6,000 yards of quilting thread, oil, T-pins, Stewart Plank’s Timing and Tension DVD, and A1 logo magnetic pin holder. Australian prices subject to exchange rates at time of purchase. Shipping, customs & GST are not included. Click here to download the features & options for this new machine. Stewart Plank has used his machine shop and aircraft mechanic skills to design and develop the finest, smoothest operating quilting machine in the world! The NEW Platinum Stitch Regulator is no doubt, the Smoothest and most accurate on the Market today! A1 Quilting Machines are Made in the USA. Listen to customer Jo chat about her A1 machine & Intelliquilter. Just for history’s sake take a look at this!! 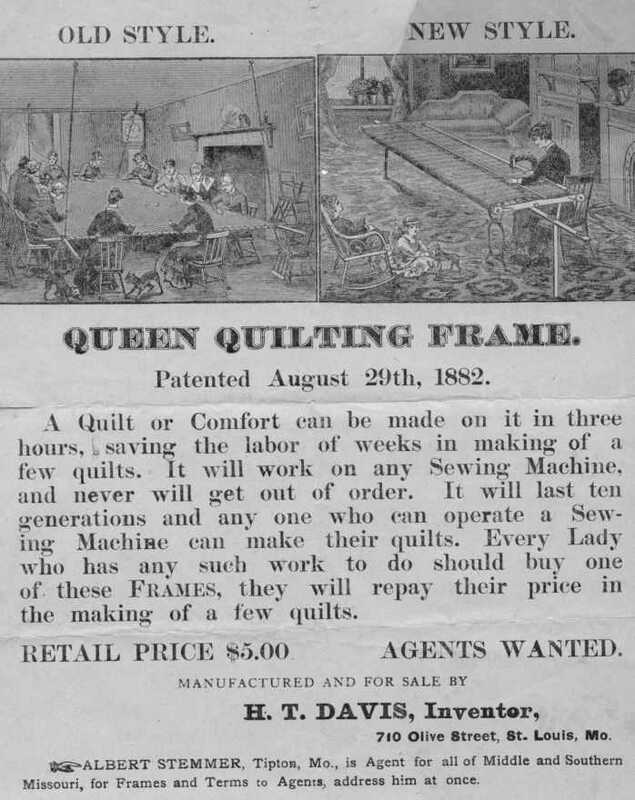 We have certainly come a long way since then, BUT even back then we were trying to make quilts faster! !